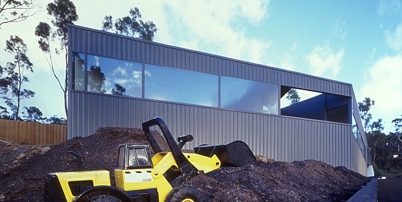 Terroir - Practice - 'Steel an honest and inexpensive material for the great Aussie shed'. The Australian Financial Review. 'Steel an honest and inexpensive material for the great Aussie shed'. The Australian Financial Review. Tolmans Hill house was reviewed in this article by Stephen Crafti in the Australian Financial Review. Crafti, Stephen. 'Steel an honest and inexpensive material for the great Aussie shed'. The Australian Financial Review. 15-17th October, 2004. pp. 30-31.